Football is a national culture in England, and virtually every corner of the country is mad about the contact field sport. Every weekend, fans throng stadiums across competitive divisions to cheer on their favourite teams. 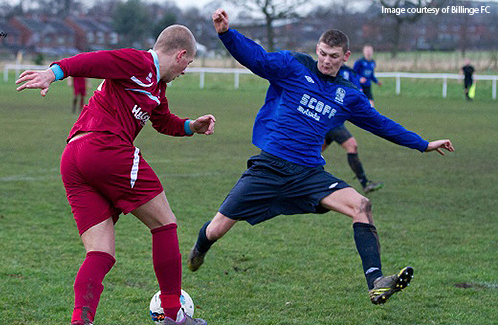 The fans themselves have their non-league competitions at their local pitches. Cheshire pays a lot of attention to the growth of football in the area. In Cuddington and Sandiway specifically, the JFC is responsible for nurturing football talent from an early age. The club admits players as they approach their seventh birthday, identifies the best and continues to grow them through U8, U9 up to the U16 when they are ready to join the senior team that competes in the Cheshire Football League. The two lower divisions are the most crucial as they embark on an arduous task of selecting the best talents from huge numbers of kids that come through the academy’s doors at every turn. In 2018 only, each category of the junior side has had up to 40 members and many more waiting at the door for a chance to train with the team. Kids at the JFC are never short of inspiration; what with the huge number of big football names that frequent or reside in Cheshire that they are likely to meet in their academy days. Pep Guardiola occasionally golfs at the Cuddington and Sandiway Golf club and his presence alone is a positive inspiration for the kids. The JFC welcomes queries and applications for positions in its academies through their official website. The queue is always full which is an indicator of the interest Cuddington has in football and also the value of the football education that JFC offers. Obviously, not every interested kid will get a place at the academy, but the effort goes a long way in growing talent in the area.